We are pleased to announce the addition of two units to serve our customers. A super duty auto loader was added to our tow truck line up and is currently the only one of its kind in Alexandria Louisiana! 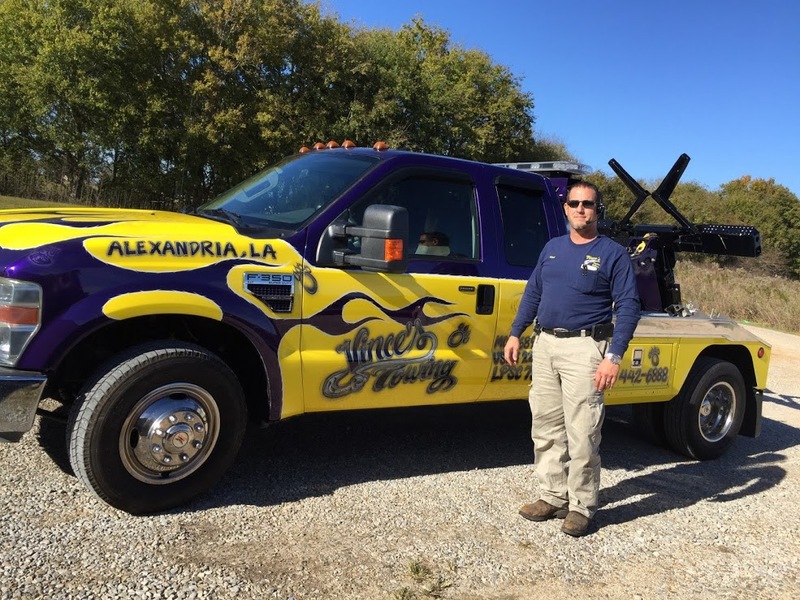 This unit is uniquely suited for Central Louisiana’s light duty towing market and is able to go into low clearance areas like parking garages and retrieve disabled vehicles. Our Auto Loader / Self Loader makes quick work of retrieving a vehicle in tight spaces such as crowded parking lots and its extra cab space comfortably transports three people. 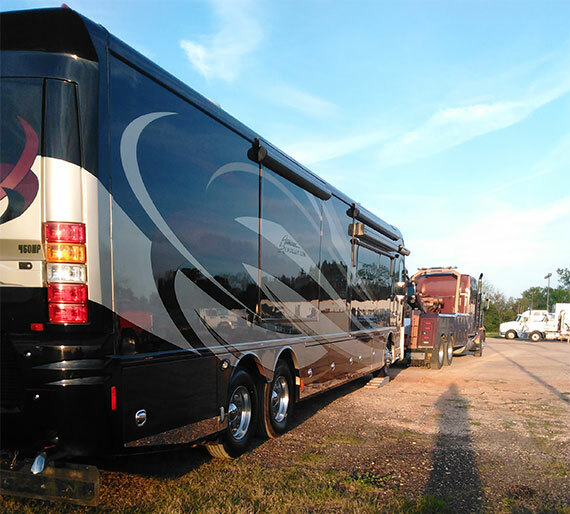 To serve the many commercial fleet specialists in the Louisiana, Texas, Mississippi and Arkansas area, we also added another heavy duty unit to the arsenal as well. 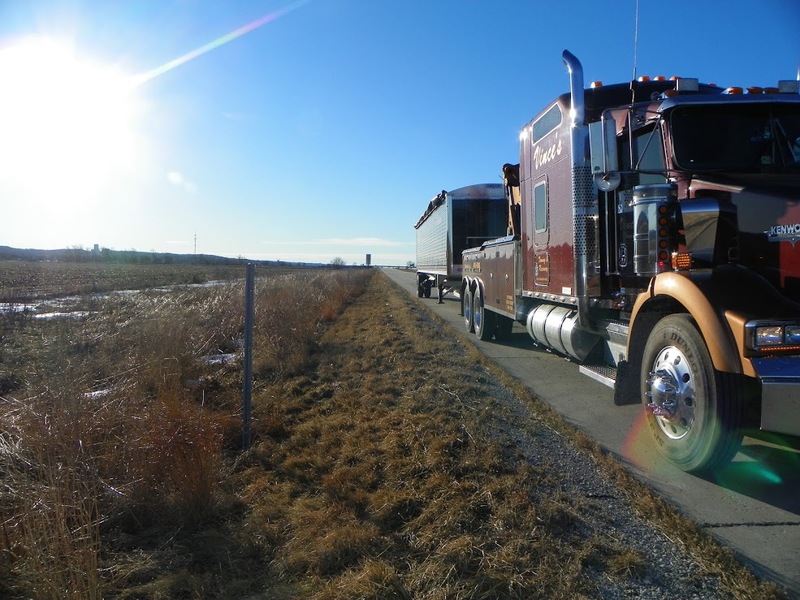 Unit six was recently photographed 52 miles out of Sioux City, Iowa on its way through the Badlands to deliver a disabled trailer. It’s a 550 hp T800 Kenworth with an 18 speed gearbox and a Studio Sleeper. This configuration makes it well suited for very heavy loads and Motor Home / Motor Coaches, and buses. The Studio Sleeper can transport the typical Recreational vehicle AND the family in style and comfort comparable to their RV and takes some of the stress out of a Motor Home breakdown. Vince’s Towing is proud to serve our community and would like to thank our many customers for their patronage. Together with your support, we have made, and will continue to make our highways, byways, and streets a safer place for you and your family.